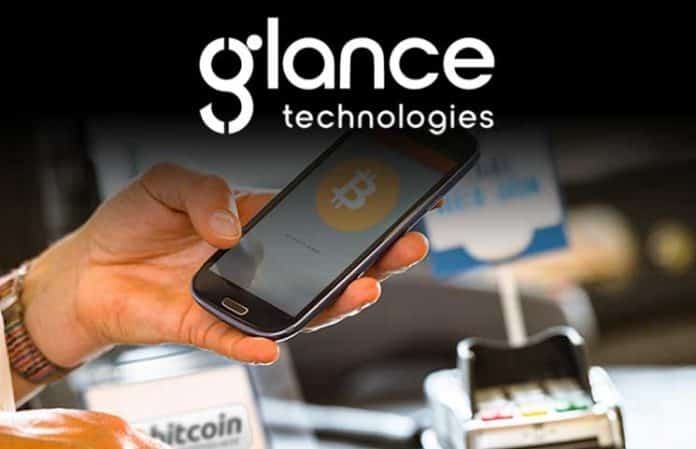 Glance Technologies Inc., a Canadian start-up published a press release on November 29, stating that it has incorporated support for Bitcoin as a payment method. The CEO at Glance Technologies, Desmond Griffin, emphasized in the release that the corporation concentrates on the continuous progress of the payment industry, and keeps innovating new mechanisms to ensure that Glance is at the forefront of technology. The new feature in every way complements the existing application. According to the press release, the new attribute which is labeled as ‘Pay with Bitcoin’ empowers the users to combine their cryptocurrency with their Glance Pay balance, and then they can procure Glance Dollars or Glance credit with Bitcoin. This feature permits the users to unlock and cherish the true worth of their crypto assets for everyday use. Allegedly this internal currency or token can be spent at vendors, which employ Glance’s system to receive payments and it can facilitate lightning-fast transactions in Glance’s ecosystem. The new technology is equipped with many security features to control frauds and has many loyalty programs. The other unique feature about Bitcoin is that it enables the users to use it from their mobile handsets, thereby, eliminating the requirements of any additional hardware installation. In its third quarter of 2018, Bitcoin transaction sales were $43 million, which was $6 million more than its previous quarter. This demonstrates the growing demand for Bitcoin-related payments. With significant jewelry manufacturer and retailer Bricks Group accepting Bitcoin and the US state of Ohio confirming use of Bitcoin for tax payments, it has started trading at $4278.